The Fremantle Aboriginal Cultural Centre will be open this Saturday 1st November, between 12pm-4pm, as part of the Bathers Beach Art Precinct Open Day. THE ORIGIN OF DOTS AND DIDJERIDOOS. Perhaps the most recognisable components of Aboriginal culture are Dots and the Didjeridoo, but where did these cultural art forms originate? Come visit the Aboriginal Cultural Centre, view our artefact display and Aboriginal Art or take a tour and the richness and diversity of Aboriginal Culture including the origin of dots and didjeridoos. Tours start at 1pm, 2pm and 3pm. Next door the David Giles, Wild Twig and Glen Cowans art studios will also be open and down at beach level the J Shed mob of Greg James, Janet Nixon, Jenny Dawson and Peter Zuvela also have open house, with live music and sausage sizzle. It’s all part of the 2014 Fremantle Festival! 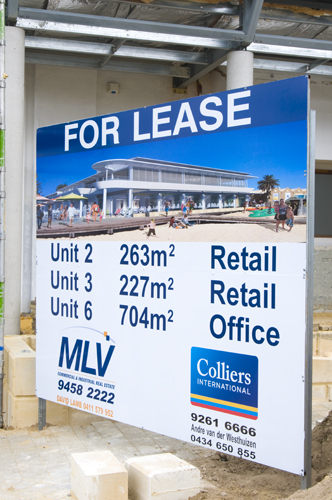 The Fremantle BATHERS BEACH HOUSE, that will open its doors on November 22, is looking for staff and businesses to lease space in the building at the Indian Ocean beach in the west end of the city. 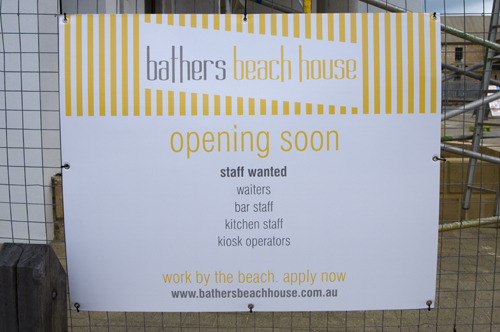 See photos for details or go to http://www.bathersbeachhouse.com.au. Picking up quirky photos because one is in the right spot at the right time is one of the reasons I always carry a camera on my left shoulder and why I love street photography. 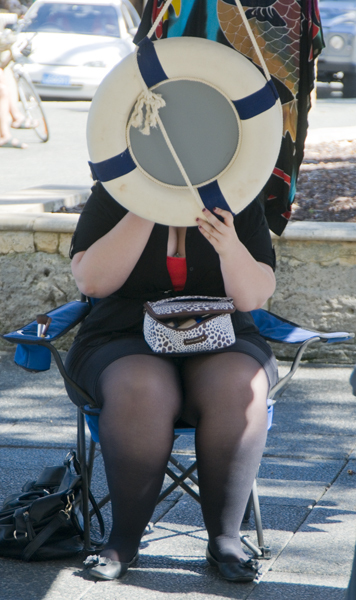 I shot this beauty of a lady doing her make-up at the Madhatter Markets on Fremantle’s Kings Square this morning on my way to the ANZAC event. It was a historic day in Fremantle with the commemoration of the ANZAC centenary and the vintage train from Blackboy Hill bringing the troops to Fremantle, where they paraded through the West End to Fremantle harbour. Western Australia’s newest Governor, and former CEO of Fremantle Ports, Kerry Sanderson, was there, as was Premier Colin Barnett, MP Melissa Parke, member for Fremantle Simone McGurk, RSL State President and Vietnam veteran Graham Edwards, and Freo Mayor Brad Pettitt. I am sure there were many more celebrities but I did not get to see the VIP front row so don’t know who else was present. 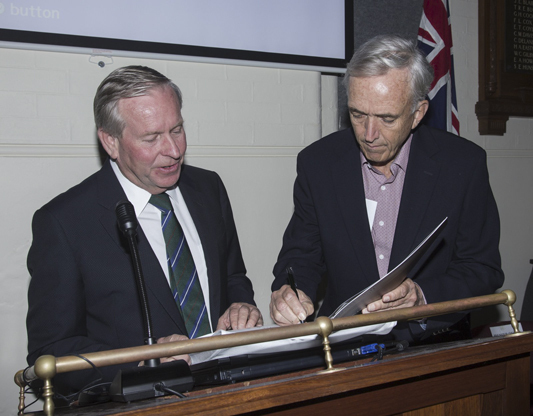 The book was launched at the Army Museum by Premier Colin Barnett last night and is available in bookshops now. Today John will be at B Shed on Victoria Quay from 10 am to 2 pm and sign the books, so while supporting the Blackboy Hill train journey and the march through Fremantle pop in at B Shed and purchase a book. The West End of Fremantle will be in a sort of traffic lock-down tomorrow morning with most streets closed to allow for the Blackboy Hill ANZAC parade to march from the train station to the port. The best is to avoid that part of town till after lunch. 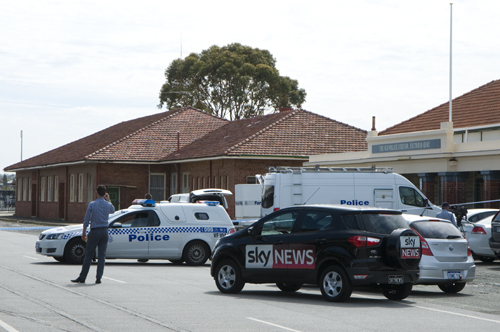 The event will also affect train services to Perth as the Midland line will be closed after the commuter morning rush our, so use alternative means to get out of Freo and walk or ride into the city to avoid traffic stress. 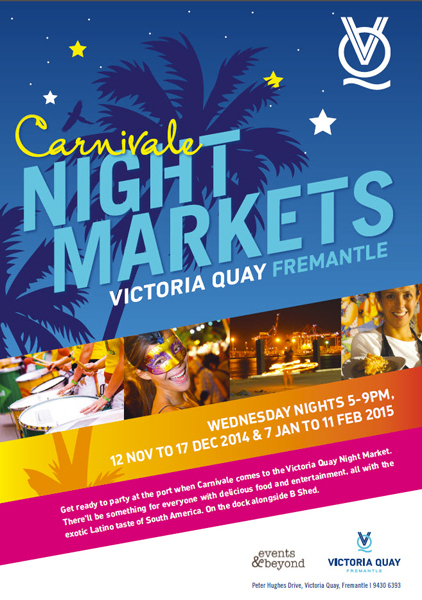 The Thursday hawkers food markets at Fremantle Victoria Quay is changing this year to the CARNIVALE at VQ on Wednesday nights from 5-9 pm. The Latino taste of South America will come to port with food from Brazil, Colombia, Mexico, Salvador, Peru and Venuzuela, so people can enjoy the flavours of arepas, cachapas, pupusas, empanadas, paella, nachos, burritos, etc. From Cajun to Louisiana soul-food, it will all be there! There will be live music and dancers, so they should be good nights out. It starts on November 12. A 19-year-old Fremantle man has been charged with the murder of 37-year-old James Hyman, whose body was found at the end of D-Shed on Victoria Quay on Monday night. The homeless man had been stabbed to death according to media reports, so it is good that the alleged perpetrator has been arrested. What is it about the Curtin University of Sustainable Policy(CUSP) people that they have a need to say utter nonsense in the media? Come off it Professor! Even in Fremantle people have learned to accept that higher density living is essential and more sustainable than the urban sprawl, and I have yet to hear about any violent protests against higher development anywhere in the Perth region. Only eight days ago another CUSP ‘expert’ Dora Marinova was in the West saying Fremantle had to choose between being an attractive port city or an industrial hub. That is more CUSP nonsense, as it is not a City of Fremantle decision but a State Government one, and the port and the tourist town have worked side by side very well for decades. What is essential though is very well planned and designed medium to high residential buildings with lots of green open space and pedestrian friendly streets. Far too much emphasis is being placed on cyclists and not enough done for pedestrians, and the reality of a very rapidly ageing population is ignored. If Fremantle Council get its ways we’ll have cyclists speeding past cars that are only allowed to drive at 10 km/h while there is no speed limit for bicycles. Calls for safer and dedicated pedestrian crossings at the Cappuccino Strip and Marine Terrace have been ignored by those who have a fixation with bikes. Not many people are against higher density, Professor Newman. Instead of blaming those who oppose bad and cheap buildings you should talk to the property development industry and point out that the community wants classy, well-designed and great buildings and not the cheap and ugly crap they keep proposing. Why doesn’t CUSP become a vocal advocate for city planning and building excellence, as that would create the higher density and sustainable beautiful cities we would all embrace. Attacking those of us who want to protect the unique lifestyle and character of our community is cheap and unbecoming for a university.